Broad match keyword is a keyword or phrase which is broad and has a varying degree of meaning and intent. A broad match keyword typed in the search engine has the most general manner by structure and intent where spelling mistakes and grammatical errors are taken as synonyms and plurals. 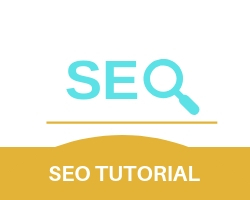 But the traffic generated by these types of keywords are not reliable because it may or may not represent what a search engine user is looking for. In the above keywords, it is not specifying any website but instead generalizing the content on the website. Although the above two can lead to an increment in visitors but at the same time making it unpredictable in the conversion area where the visitors would convert into valuable customers. Exact match type keywords are keywords that have to specify a feature and aspect of the website. from the above keywords, the name of the website and its exclusive features are highlighted and pointed out. Although these type of keywords are difficult to generate and bringing traffic to the website, they are good for conversion rates and great at increasing the quality levels of the website. A Phrase match type keyword is the combination of a broad match type and an exact match type keyword. from the above examples taken form Phptpoint perspective, we can see that even though the name of the website has not been mentioned it still lists outs some of the important aspects of Phptpoint I.E online guides and tutorials on SEO.